Even with more than 60 stores throughout the U.S., VF Outlet realized they needed to address a core retail issue. The research indicated that consumers could not easily identify VF Outlet’s impressive portfolio of brands, which included such powerhouse brands as Wrangler, Lee, JanSport, Nautica and Reef. As a result, the casual shopper did not understand or identify with their retail store experience. To tie-in with the previously re-branded VF Corporate identity program, CrossRoads Studios updated the VF Outlet logo to a striking red retail variation of the blue corporate logo. 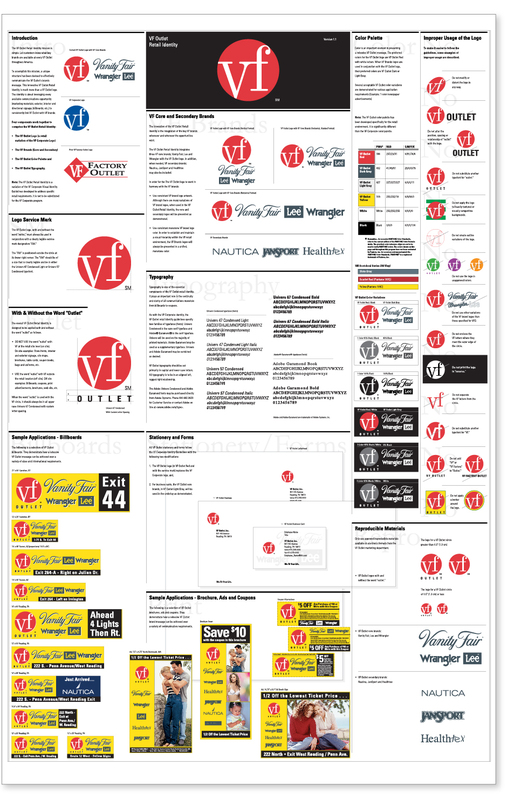 The new identity was encapsulated in a unique 24” x 30” poster and distributed to all its retail store locations. The poster included: color palette, typography, stationery, signage, billboards, ad structure, gift cards and more. We found we had a creative team in our backyard, who were great to work with as we explored our brand and they ultimately came up with a great new logo and brand package for us. 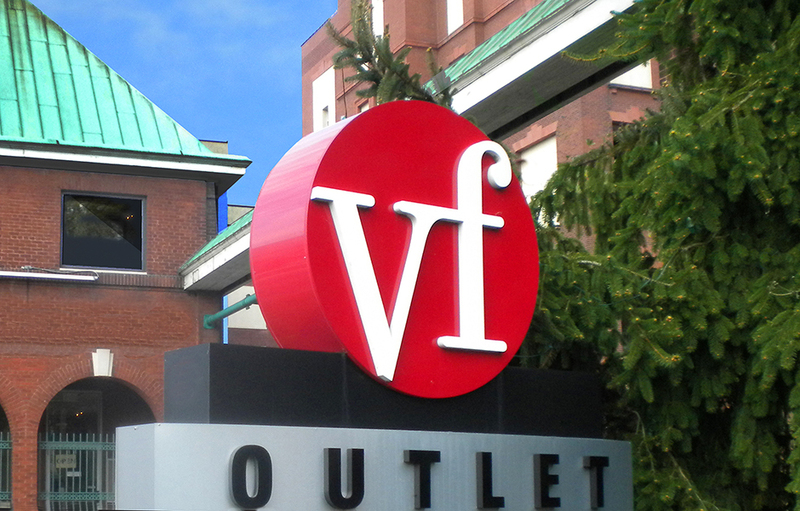 CLIENT NOTES: VF Outlet is headquartered in Wyomissing, PA. It was the original factory retail store for jeans maker VF Corporation. The site for the store began as a room with only curtains separating customers from the workers who turned out excessive amounts of VF products. Today, the company operates 79 retail stores throughout the U.S. VF Outlet stores sell jeans, sportswear, backpacks, swimwear and children’s clothing.